1) Who was recently selected for the prestigious Saraswati Samman for the year 2014? 2) Union Health Ministry recently announced Safe Motherhood Day to be observed on? 3) New schemes PRASAD and SWADESH DARSHAN were recently launched by the government to promote ____ in the country? 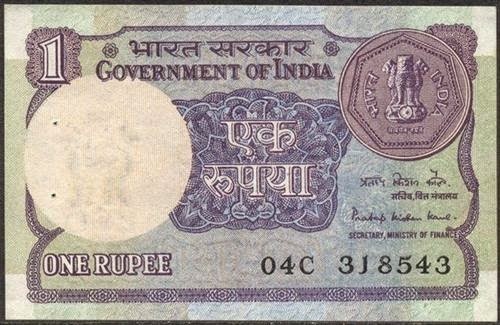 4) After a gap of over 20 years, Re 1 note has been released in the country on 6 March 2015 by Finance Secretary Rajiv Mehrishi. The new Rs.1 note bears the signature of? 5) Former Union minister and senior Congress leader M Veerappa Moily was recently selected for the prestigious Saraswati Samman for 2014 for his famous Kannada poem? 6) Walmart India has recently appointed whom as the new Chief Financial Officer (CFO)? 7) Prime Minister Narendra Modi recently launched India's first indigenously developed rotavirus vaccine Rotavac. This vaccine protects children from which disease? 8) As per recent reports, which country overtook India in 2014 as the world’s biggest importer of defence equipment? 9) Name the solar-powered plane which started its historic 35,000-km round-the-world journey from Abu Dhabi on 9 March 2015? 10) Which state government on 8 March 2015 launched 'Bhagyashree' scheme in place of the Sukanya scheme which caters to girls from Below Poverty Line (BPL) families?